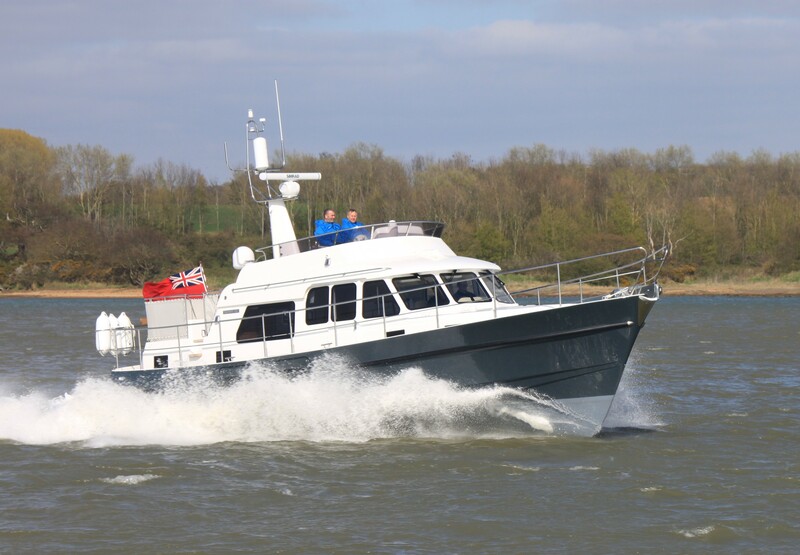 The latest Hardy to leave the yard in North Walsham is the stunning Hardy 42 ‘Emaris‘. 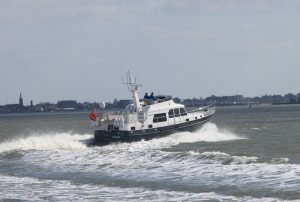 Launched last week in Ipswich she has now undergone full engine trials on the River Orwell in Suffolk. Sporting the new style bonded windows and fixed bathing platform extension to the hull she has certainly been turning a few heads in the area. 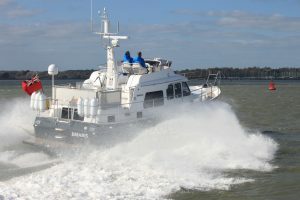 Her upgraded twin Caterpillar 450hp engines provided an impressive 27kn during trails, together with her Twin Disc gearboxes, EC300 Joystick controls and Dynamic Positioning System, hydraulic bow & stern thrusters she handled like a dream in all scenarios. 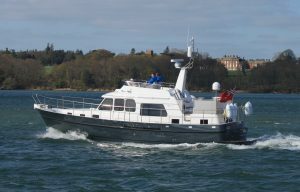 She has the standard 3 cabin arrangement with cherry timber interior joinery and all the modern conveniences of home; oven/microwave, dishwasher, heating, Sat TV. 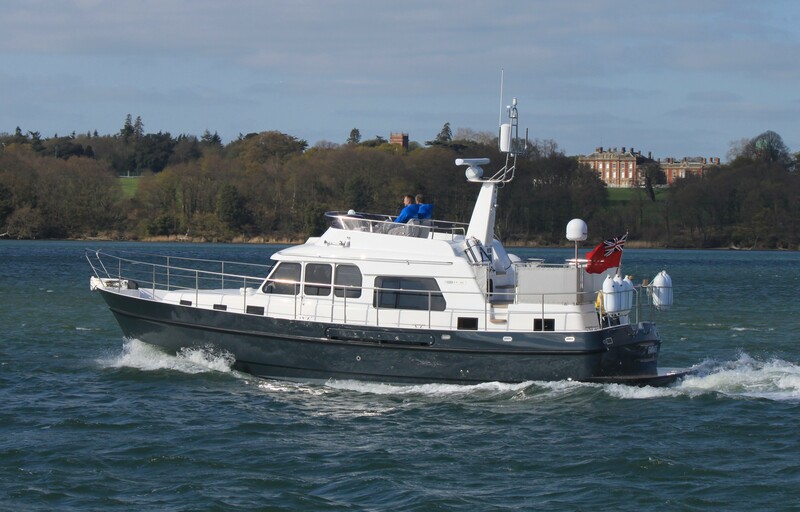 This is the 2nd Hardy 42 for her experienced owner, who eagerly awaits delivery of this beautiful motor yacht at the end of the month.